This framed oil portrait of a woman posed with a water vessel depicts an anonymous “fellaha”, or peasant woman. Saïd, an Alexandria-born Modernist who came from an aristocratic background, believed plebeian women embodied a pure Egyptian beauty. The painting is “one of the most visually pleasing portraits Saïd made and there’s a sense of mystery around it, since most portraits he produced were commissions, many of them documented in photographs”, says Nima Sagharchi, the auction house’s head of Modern and contemporary Middle Eastern art. The painting was shown in the 21st Salon de Caire in 1939, where the Italian art critic Jean Moscatelli described it as a “masterpiece”. The work, being offered at auction for the first time, once belonged to the Egyptian prime minister Hussein Pasha Sirry. 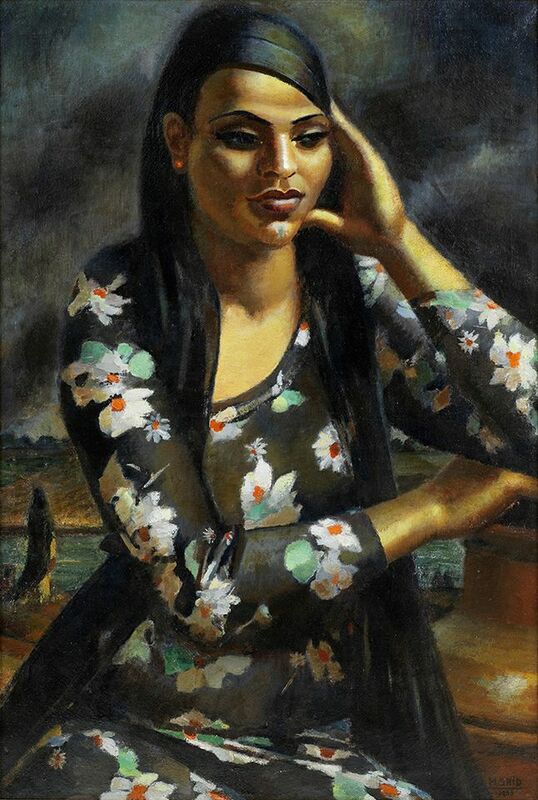 In 2015, an earlier oil painting of a fellaha called La négresse aux bracelets (1926) made $665,000 (est $220,000-$250,000) at Christie’s Dubai, the record for a portrait Saïd made of an anonymous subject; the auction house, which published Saïd’s catalogue raisonné last year, also set the artist’s overall record in 2010 with the oil painting The Whirling Dervishes (1929), which made $2.5m. The work is estimated to fetch around £500,000. 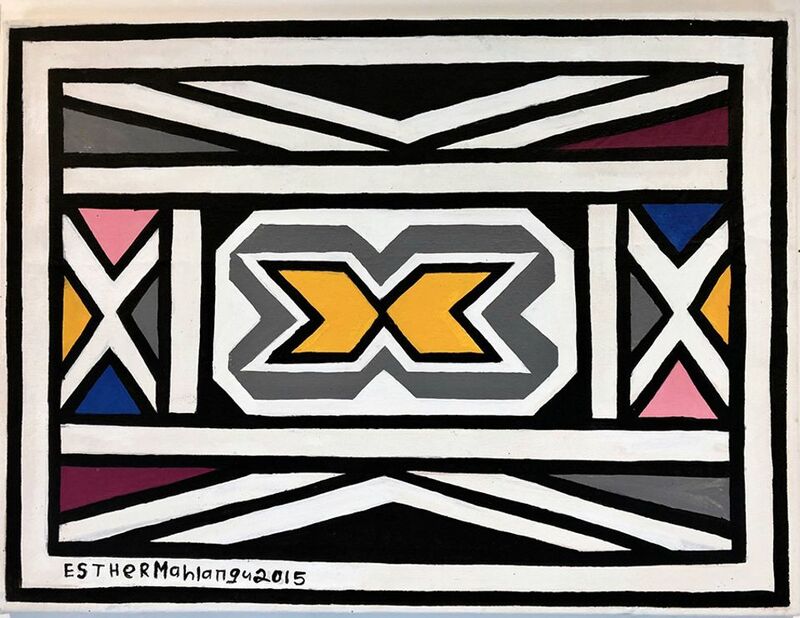 This abstract geometric oil painting references the South African artist’s heritage, showing an asymmetric design style traditional to Ndebele craft done with a Modernist bent. Such designs were typically made to commemorate major events with organic materials in muted earth colours, and primarily used to decorate the exterior of homes. The octogenarian artist has explained that she began working on canvas and board so that Ndebele paintings could be shown around the world. In the late 1980s, the Centre Pompidou in Paris held an exhibition that featured a replica of the artist’s home in Mpumalanga, fully painted with signature Ndebele patterns and symbols. The artist, who is included in major collections such as Jean Pigozzi’s, is “considered one of the pioneer female artists from South Africa [but] is pretty rare to the market; paintings fetch around €4,000 to €5,000”, says Christophe Person, the auction house’s head of contemporary African art. Salle Rossini auction house set the artist’s record with a large-scale painting called Le foyer, 20 May (1998) in 2012, which made €36,000 (est €1,000-€1,500). 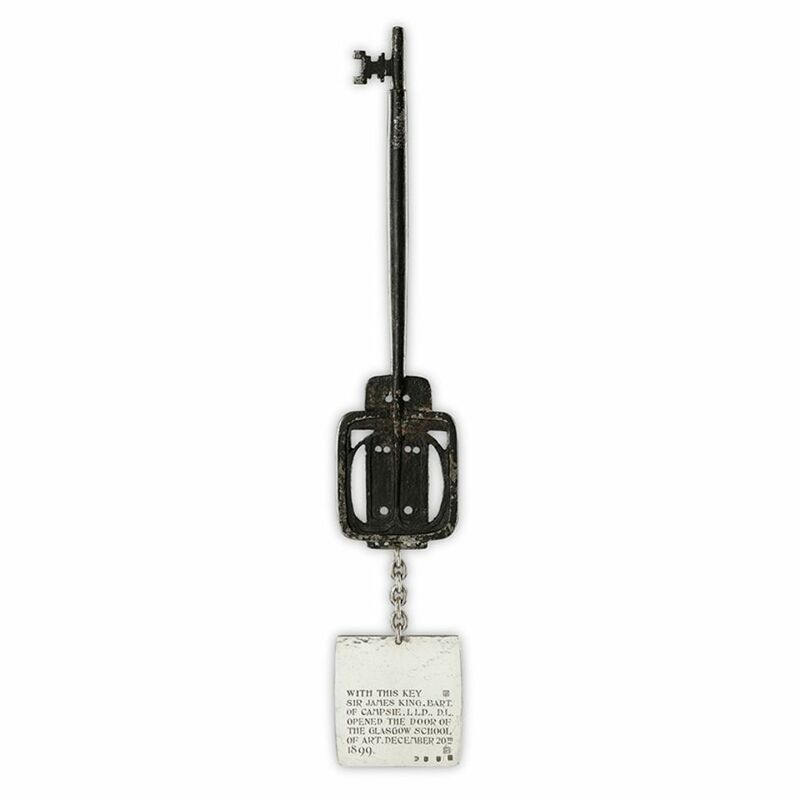 This functional wrought iron key was devised by the Scottish artist Charles Rennie Mackintosh to open the Glasgow School of Art in 1899, which is now known as the Mackintosh Building. The piece features a suspended silver plaque with an inscription honouring Sir James King, the city’s Lord Provost from 1886 to 1889, who was asked to open the school when Princess Louise was unavailable. The key is being offered in its original velvet-lined oak box and has been held by King’s family since it was presented to him during the ceremony. Mackintosh became the principal architect of the school’s expanded campus on Renfrew Street after the firm Honeyman and Keppie, where he was employed as a junior draughtsman, submitted a design in his hand. The sale coincides with Mackintosh’s 150th birth date; this month, institutions across Glasgow are hosting exhibitions and workshops on the artist’s expansive oeuvre, which spanned ceramics, paintings and design. Last year, Sotheby’s New York set the record for Mackintosh with an ebonised sycamore side chair designed around 1904 that made $576,500 (est $100,000-$150,000). If the key sells, the consignors and the auction house will make a donation to The Mackintosh Campus Appeal, a programme that aims to raise funds for the renovation of the building, which was severely damaged by a fire in 2014.